One of the biggest stumbling blocks for my personal training clients is dealing with their sweet tooth and chocolate cravings. Well this Bromley personal trainer has come to the rescue with this delicious, indulgent sugar free chocolate avocado mousse recipe. It is thick, creamy, rich, chocolatey and can be adapted to exactly how sweet you want it. What’s more is that it is so incredibly easy to make. There isn’t really much to say about method. Put everything together in a blender and pulverise. I would start off with less liquid and just add a bit at a time until you get your desired texture. If you end up adding too much, your final product is more likely to be a smoothie rather than a mousse. You can always add liquid more easily than you can take it away! You can top it with nuts, coconut or fruit and if you’re a nut butter addict like me you can stir in some peanut butter to give you that extra touch of indulgence as well! For the best texture of your mousse, I would strongly recommend using a Nutribullet-type blender. I say “Nutribullet-type” rather than specifically recommending a Nutribullet because I think Nutribullets are way overpriced and there are actually more powerful and cheaper ones on the market. 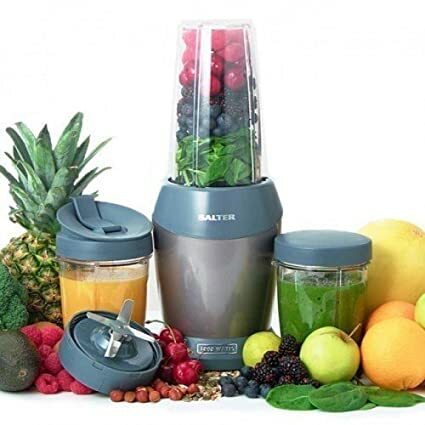 I personally use the Salter Nutripro 1000 which has a 1000W motor (compared to the 600W or 900W on the Nutribullet) and is about half the price! You can get it on Amazon for under £50, whereas the Nutribullet comes in at just under £100 – massive price difference! And next is pure stevia. Supermarkets sell a version of stevia called Truvia. This is stevia combined with erythritol and I don’t recommend it. 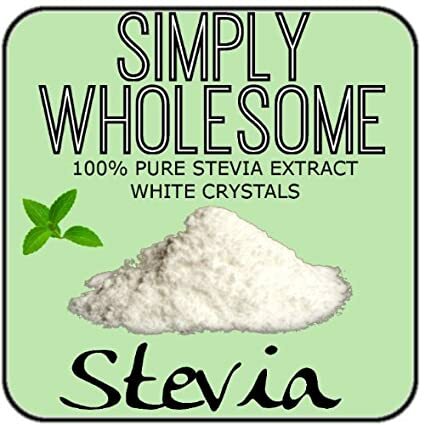 I buy 100% Pure Stevia Crystals by Simply Wholesome. They are quite expensive at almost £30 for 200g, but 200g actually lasts me 6 months – this stuff is literally 60 times sweeter than sugar so you only need an absolutely TINY amount! So give it a go and let me know how you get on with this absolutely incredible chocolate fix! Next The Incredible Sugar Free, Gluten Free, Protein Packed Vegan Brownie! The Incredible Sugar Free, Gluten Free, Protein Packed Vegan Brownie!